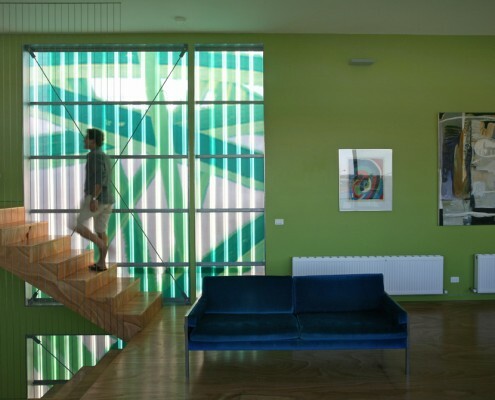 Bellemo & Cat Architects are a small practice renowned for innovative architecture and large-scale public art. They tread the intersection between art and architecture by combining the architectural skills of Michael Bellemo and the fine art background of Cat MacLeod. Bellemo & Cat's architecture is sculptural and playful, while their public art is structurally challenging and pragmatic. 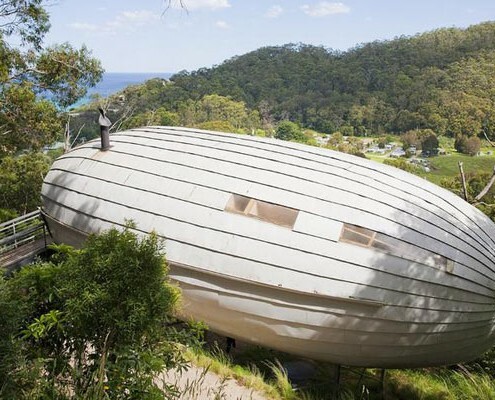 The practice's most famous house is Cocoon — a football-shaped home, perched in the treetops overlooking the Great Ocean Road's spectacular Wye River Valley. Bellemo & Cat have completed a number of unique projects and are particularly adept at working with limited budgets.